With the recent growth in spending on U.S. construction projects, it’s likely that architecture projects will be increasingly frequent. Your architect clients are as much at risk for errors & omissions as any other profession that involves contracts. Here are a few brief points on the key provisions that should be in every architecture contract. Cost of work: This doesn’t need to include the compensation to the architect, however there needs to be a written estimate. If this cost starts to go over their client’s budget, the architect should advise the owner so that both parties can discuss and plan next steps. Architect’s scope of services: An architect’s basic services should include what they are responsible for and what incurs an extra cost. Typical included duties can range from preparing the design documents to performing certain construction administration duties. Copyrights and licenses: Typically, an architect will provide a nonexclusive license to the building owner to use the architect’s drawings and materials to complete the project, provided that the owner substantially performs their obligations. Proof of insurance: Owners want to know that their architect has taken the responsibility to obtain, maintain, and pay for the necessary insurance coverage including, but not limited to, commercial auto insurance, workers’ compensation, errors and omissions, and comprehensive commercial general liability insurance. Termination of Architect Agreement: A typical agreement usually contemplates that if the architect or owner fails to substantially perform the agreement, the other party may terminate that agreement upon written notice. Your architecture clients need to take the time to produce a well written and detailed contract. A poorly written or non-specific contract could result in miscommunications that lead to error and omissions claims. To ensure they are protected, your clients should purchase the appropriate professional liability coverage for their business. PLRisk Advisors is a leading wholesale insurance brokerage covering the professional liability market. Our team of seasoned professionals has the depth and breadth of knowledge to help our agency partners secure the best quality coverage for their clients. We provide professional Liability (Errors & Omissions) insurance products for a number of professionals including, but not limited to, Architects, Commercial Real Estate Agents & Brokers, and Property Managers. 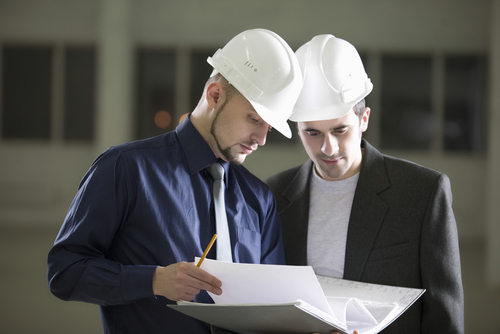 Contact us for more information about Professional Liability Insurance for Architects.